“I was an accident,” some claim. “I’m not even supposed to be here,” another says. “I’m a mistake,” others whisper in shame. With God there are no leftovers, accidents or mistakes. This was not only a word to His prophet, but to you and me as well. 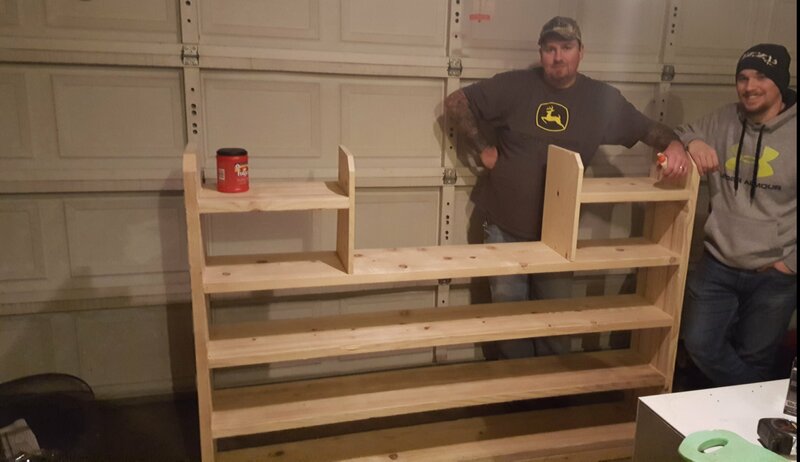 Yesterday my son-in-law, Josh, and my son, Trey, built an entertainment center for Trey’s room. Josh had made a sketch of what he wanted to do, but when we went to buy the wood, nothing went according to plan. The wood was twice the cost we anticipated, but after doing some quick figuring, I worked it out. 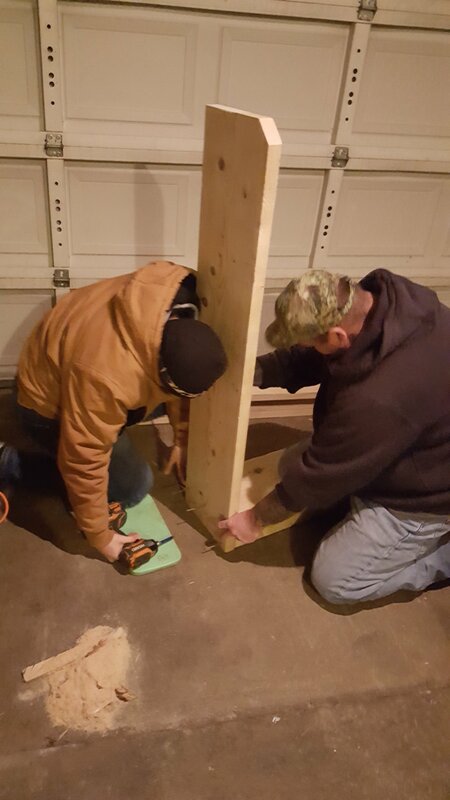 Then, Lowes had no pieces we needed to fit our plan, so we decided to buy 12-foot planks and have them cut in half. Ok, change of plans again. Josh put the extra-long planks in my SUV, put a red flag on them, tied down the hatch as much as it could be and told Trey to sit on the boards to make sure they didn’t slide out. “SIT on them?” he asked. “It’s only a five minute ride, buddy,” I replied. “Crude but effective,” as my dad so eloquently puts it. So we made it to Josh and my daughter’s house, but soon after, he received news his dad, who is aging and not in good health, had fallen and might have to go to the hospital. “Let’s put this off,” I told him. But he looked at my son and quickly responded. “Treybird,” he said, using his nickname for my son, “we’re gonna build this thing.” He was sticking to his word. Josh thought it would take an hour, but it took much longer. Also, his saw wasn’t cooperating. In addition, they had to take a few breaks to come in from the bitter cold garage and warm up. But slowly, it was coming together. When they were about done, there was a “lip” on each side of about two feet. “Maybe we should buy another board and add another shelf,” my wife suggested. I went out to the garage and asked what pieces we had left. “Just these two short pieces,” Josh replied, showing me two boards about two feet long apiece. So we all put our heads together and hatched a plan to add two shelves on top. Since Trey has four different gaming systems (yes I said FOUR! ), each system now has its own shelf, the TV goes in the middle and he has plenty of shelving to fit all his games, movies and then some. It’s PERFECT, almost like it was meant to be. 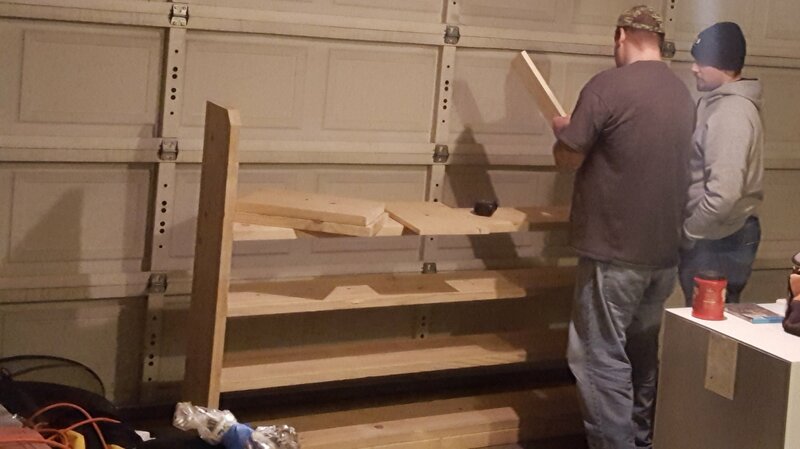 Until the builders of Trey’s entertainment center decided collectively how to utilize even the leftovers, those pieces seemed useless. But suddenly, they were the PERFECT pieces of wood in the PERFECT place at the PERFECT time. Maybe you’re sitting in the corner gathering dust, but it is my belief that you have a calling on your life. You may not know it yet, but you are needed and essential. At the perfect time, the Master Builder will call on you. And suddenly, the life you thought of as a misfit or an accident will make complete sense. Prayin’ for ya, as always. “Maybe you’re sitting in the corner gathering dust, but it is my belief that you have a calling on your life. You may not know it yet, but you are needed and essential.” These lines really touched my heart. It is as if a message had come to me from Heaven. Thank you for writing this. Bless you for your heartfelt feedback. Someone once asked me, “Why do you write so many blogs when you don’t even get paid?” My reply is: my payment is comments like yours. Knowing that God is using all the pain and heartache I’ve experienced to touch others makes me the richest man I know. Blessings, friend.